Last year my wife (slash business partner) and I spent 4 months traveling Europe and the west coast of the U.S. We also didn’t miss a day of work the entire time, and every venture we were involved in experienced some really great growth. Here are a few tips that have helped us live this life. If you’re planning on taking the dive and traveling while you work, I hope they’ll help you too. #1: Let your lease expire. The first time we “took off” we were living in Brooklyn, NYC, and got completely fed up with the place. We couldn’t get out soon enough. The constant honking and traffic, the lack of smiles, the cussing…it wore us down. And then it hit us that as long as we had internet, we were in business. So we bought 1-way tickets to Paris, and that led to 3 and a half months of wandering through France, Portugal, The Netherlands, Italy, England, and Ireland. The thing is…our expenses really weren’t much different than they were in New York. We basically replaced our Brooklyn apartment rent with the cost of short term rentals. In some places, food and housing was ridiculously cheap too (like Lisbon) so we actually came out ahead sometimes. Aside from the cost of plane tickets, our cost of living was either the same, or slightly less, than in America. All because we left after our lease expired. So if you’re not in an apartment or home or somewhere you can’t live without, let it run out and hit the road. Stop #1: Paris. Photo Credit: My talented wife, Lou Levit. #2: We worked in the time zones our clients were used to. I stuck my work schedule to Eastern Standard Time (NYC time). In Europe that usually meant starting at around 2:00 – 2:30 and ending around 10:00 – 10:30. That actually worked great for me because I’m a night person. Of course it was a bit more flexible than that, and my work chunks were often more sporadic, but every day I was “on call” during those hours if anyone needed something urgent from me, and I’d still get about 8 hours in every day (some days more as there were some big product launches and other big projects). That gave me the entire morning and early afternoon to explore and be care free without worrying about checking email or getting a call. And of course I’d have the entire weekend for that too. We’d usually take a couple hours break for dinner / wandering in the evening as well. Our whole life just sort of “shifted over” a few hours. Otherwise, it was business as usual. Tip #2 of 5 of traveling while you freelance: Stick to time zones your clients are used to. #3: We lived the same life we always live, just in another place. My wife and I aren’t really big on “tourism.” We don’t feel a need to see the sights or check off a list of the top attractions. We like to just embed ourselves into whatever culture we find ourselves in, living life like the locals. Just like at home, most of our weekdays consisted of getting work done, taking walks, eating, hanging out in cafes, and getting more work done. This style of life is actually becoming really popular outside of America, too (finally). I remember a few years ago when we went to Europe you’d never see a laptop in a cafe. Now it’s really popular, which is nice because a couple days a week I need to get out of the house and work somewhere else. That was tough to do a while back. Now though, Europe is packed with amazing cafes just for this. And the coffee is amazing, too. The cafes are often tucked into buildings that are hundreds of years old with stone archways for doors, cobblestone roads just outside, and flowers hanging in the windows. However, as far as the whole work-go out-work-go out cycle went, that’s pretty much what our life looks like in America, and it’s what our life looked like in Europe. I just found it really nice to live my regular life in a new place, surrounded by new, beautiful things, wonderful architecture, and unfamiliar languages. It influences your thinking in ways you wouldn’t expect and it comes out in your work. Even if you are big on sightseeing though, you can easily fit it in during those “carefree hours” I mentioned and on the weekends too. Not a problem. Gruyere, Switzerland. Photo Credit: My talented wife, Lou Levit. #4: No one really cares, or if they do, they’re just excited for you. …and then every call after that just went straight to business. No one was resentful like I feared also. They were just honestly happy for me. I realized my life isn’t a big deal to other people, and as long as they don’t notice any inconvenience to theirs, they could really care less where I was or what I was doing. It was really freeing to realize that. So as long as you keep being awesome to the people you do business with, they’ll keep being awesome right on back and won’t care in the least that you’re a few extra thousand miles away. Just make sure you’re easily available (if you usually are) and they don’t notice a difference between the you at home and the you on the road. I think sticking to the time zone trick makes that not a problem. Nomad freelancing tip #4: Ensure clients don’t experience a difference when you’re traveling. Fisherman in Howth, Dublin, Ireland. Photo credit: My talented wife, Lou Levit. #5: Airbnb and the internet are your saviors. Every place we booked, save for one, was through Airbnb. The one that wasn’t was only because we booked so last minute nothing was available, so we found a similar resource instead. The rates are amazing for what you get, and you get to really live more like a local. We’d rent an entire apartment (usually 1 bedroom, or a studio with partitions) that we had to ourselves. The apartment was right in the thick of it. We jumped right into local life in every place we visited. But! We also took precautions. Before booking a place, we would actually make them run a speed test on their internet. We probably sounded like wackos, but we explained that we were working while traveling and internet was very important to us. No one had a problem with it, and we always had fast, reliable internet. People even offered to upgrade the internet while we were there if we were up for paying for it. We never dealt with hotels and all that (which are insanely overpriced for what you get). Since finding Airbnb a few years back, I’ve only willingly stayed in a hotel once since (a few times I had to on business) and wished I’d used Airbnb instead. It just feels so much easier and more natural. The people are always so friendly and welcoming, too. Tip #5 of 6 for traveling while you freelance: Airbnb & internet are your saviors. 11pm Sunset in Delft, Netherlands (Yes, 11pm!). Photo Credit: My talented wife, Lou Levit. #6: We just went for it. Like I said, we bought 1-way tickets to Paris on a crazy whim. We booked a place for a month in the South of France, right in the Alps, and we had no plan what-so-ever after that. We had no home to come back to. No plan for where we’d go when we got back (we had a vague idea that we’d end up in Northern California…which actually turned into Portland, OR…but nothing concrete or set in stone). In fact, it wasn’t until we had 4 or 5 days left in that rental that we figured out where we were going afterward, which ended up being Lisbon, Portugal. The trip sort of figured itself out as we went. We booked all the flights last minute, and the apartments, too. While that was great for that trip, it was admittedly a bit stressful at times also. That’s why, on this current trip, we booked everything in advance, so we haven’t had to think about a thing. But either way, just go for it. Very cool that you’re able to travel too. I never leave without my laptop – it’s like my whole life practically lol. Dear David: Thanks for writing such a great article. I just have one question: When you gave up your Brooklyn apartment, what did you do with the stuff you owned that you couldn’t take with you? Did you rent a storage unit, or just sell/give it all away? My wife and I live in Swaziland (she works for the US Government here) and I am trying to make a living working remotely, but we have way too much stuff (some could be given up easily, other items not so much) to just up and go the way you guys did. Otherwise, the article is very helpful and a good read. Most of our stuff we sold / gave away. What was left were only the priceless, sentimental things from childhood and such. Those fit in a 5′ x 5′ x 4′ locker, and are still in Brooklyn. Makes my memories vibrant as when my son was very young I used to work on a freelance contracts for few months in different places e.g Dubai and Montreal. Now when he must attend the school is a bit more complicated but I still do freelance. Recently working from UK, cooperating sometimes with clients outside of England. Do you still live the way you described? Which of the countries you would recommend best to work from? That’s really cool, I’m so glad this article was able to bring those memories back 🙂 Yes, we absolutely still live this way. In fact, at the beginning of the article I mentioned that right now, as I write this comment, we’re at the end of a 2-month trip abroad. We went to Spain, Portugal, and Israel. Every country has been absolutely great to work from. I upgrade my phone plan sometimes as needed and I get high speed internet from my iPhone everywhere I am, and I make sure each apartment we rent has very fast internet too. 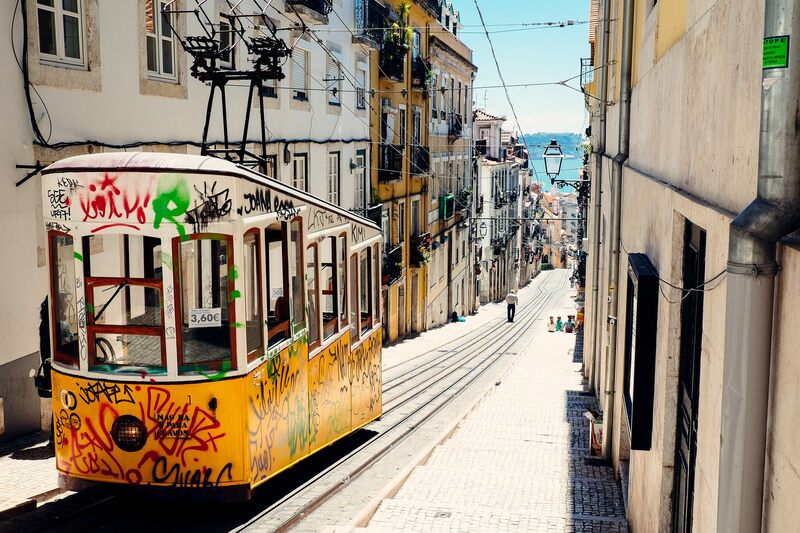 I totally recommend Lisbon though. It’s so different from the rest of Europe, and just such a wonderful place. Great article. I’ve also taken my web design business with me on the road for large chunks of time, and plan to do much more of it now that my husband and I are almost empty nesters. We have done this through home exchanges. We use homeexchange.com, although there are lots of other home exchange websites out there. We generally negotiate car swaps in addition to homes (and even skis for surfboards! ), and so our travel expenses are basically reduced to the cost of airfare. We’ve done 11 exchanges so far, and each and every one has been an awesome experience. Wow! That is awesome. I will have to check that out for next time!! This is my dream. I am building my business up here in the states while we try and pay off debt from school and have our kids, once they are school age we are going over the pond and never looking back, great advice on the internet speed test! Thanks so much for sharing that. Best of luck on your journey. I’m very thankful for everyone we do business with because that’s what lets me live this life. Actually, I think taking advantage of the freedom I have and doing things like this makes me appreciate them even more, and I work even harder for them, and things get better and better. 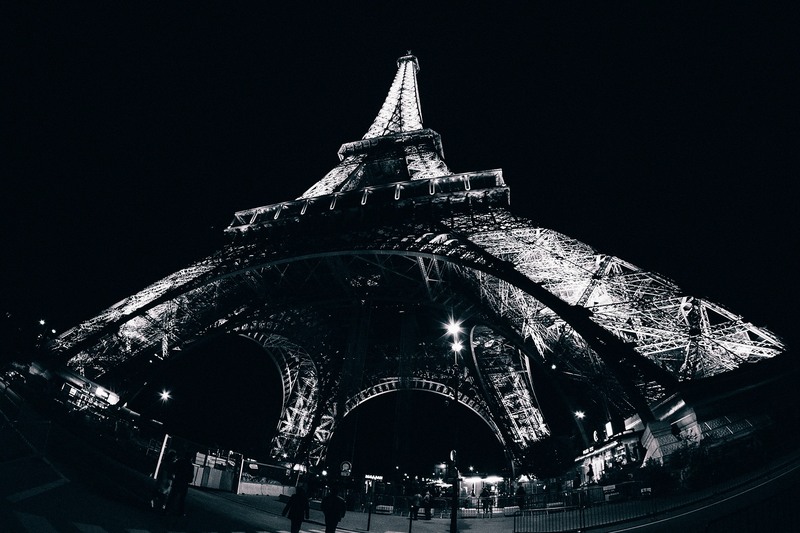 I spent a month in Pari, and my freelance clients made it easier than expected. Though I didn’t work while I was there. I’d love to do this, though for long periods, I do have a couple more practical questions? How did you manage extended stays outside of the US? Did you need travel or work visas, or apply for them, or do you just keep moving around? How do you manage travel/health insurance? With online billing and direct deposit, I’m sure that made it easy to get/send payments with clients, but how do you file taxes without having a residence (US or otherwise) you live in? With a standard American passport, you can stay in what’s called the “Shengen” in Europe for 90 days (that’s the mainland countries). You can stay in the UK for 120 days. After you reach the limits on both of those, you have to stay out of both areas for 90 days. We planned our trip so that we left the Shengen right at the 90 day mark, and then we were only in England / Ireland for a couple weeks, so that wasn’t a problem. 100% about online payments / direct deposit. For our residence, we actually used my mom’s house while we were away. She handled all of our mail and stuff too 🙂 Anything bank / tax related went to our accountant and she did the necessary judo to make sure it was al gravy. thank you for the reply to the questions. After spending almost 40 days in Paris, it was not easy coming home. So next time I do this, it’ll be good to know how long I can actually stay. The idea of having certain things shipped to the accountant has a really good one. Nice to know you landed in a place like Portland. It’s a lovely town. Yes, Portland is very lovely 🙂 Can’t wait to be back on Friday 🙂 If you have any other questions please don’t be afraid to ask. As for our accountant, I don’t know what we’d do without her. She’s an angel. I hate you for writing this article! I am planning on travelling the world next year (but nothing is concrete on my plan yet) and this article only made me even more excited! So, now, I’m thinking of doing it maybe just after a couple of months. No, I’m just kidding. Still thinking about whether or not to do it by the start of 2016. That being said, one of so many things I’m really really worried about is the budget upon setting off. I don’t have any idea how much should I have before actually doing it. That when I am finally in, say, somewhere in Europe, I don’t have enough budget to start a new life there then I’ll starve myself to death. Or like I don’t have a place where I could sleep for I can’t even afford it with the money I have. It’s funny, I guess, but can you help me figure out like how much money can be considered “safe budget” to start with if you want to travel the world? What an inspiring post! I also hope to someday be able to do what you are doing–be a creative entrepreneur who is free to live my life financially supported by my passion. I’m curious though as to what type of Visa you use to be able to work in different countries. Did you have to get a work visa so you could legally freelance in (and pay taxes to) these countries? Also is earning passive income through blogs, YouTube, Print-on-demand sites like Society6, etc, allowed? Good read…I am actually in month 14 of doing this, and prior to that, my ex wife and I used to travel 4-6 times per year because as long as the net connection was there, work could be done. My M.O. is to always live amongst the people, the sights will come eventually – or as mentioned in the article, you have your set on-call hours and the rest are your stomping hours. I will tell you – it’s best to have friends from around the world – so that whichever country you venture to next – it’s always nice to see a familiar face. My advice is to travel to regions where many other foreigners travel and make those connections when you are out of the office 😉 Then when you are going to Europe or South America or whatever you fancy…there’s the bonus. Best of luck to that couple – this way of living is truly amazing – wouldn’t have it any other way. Sunil – Napoli, Italy atm! Fantastic! So inspiring… as a freelancer I’ve been able to take 1-2 months off during the summer to travel but the more I do this, the more I want to explore and stay abroad. Perhaps 2016 will be the year! Continued success to you. Thanks for sharing. This is such a nice post. I am feeling that I have done almost the same, if not exact. I have travelled the world, while at work. I have been to with my wife – SPAIN / PARIS / AUSTRALIA / LONDON / MANY COUNTRIES IN SOUTH EAST ASIA / EVERYWHERE IN INDIA, while i was working each and every single day :-). I never changed my time at all. In fact most of the time my boss did not knew where or which country I was, since I never changed my time – zone, I always stuck with PST USA (Seattle) hours. For almost 9 years now with him as professional relation, and 7 years (2006 – 2013) – fixed monthly income – with the same BOSS, I feel it was the best time of my life. I truly love my boss, and continue to be in touch with him forever. He enjoys travelling as much, infact he does travel even more than I do. Hey! Great post, I’ll be doing the same soon. 🙂 Really glad to hear that people won’t be as put off that I’m long distance. That was my biggest fear. You said you had them run a speed test on their internet – how did you have them do that? Is there a certain method? Thanks! I am a graphic design and illustration student graduating this May. My dream is to be able to do freelance work while traveling the world and I was wondering if you could answer some questions for me? It seems like you already had a steady job and client base before packing up and traveling. What advice do you have for a designer just starting out and trying to build that client base? What steps should I take in order to finally reach the point where I can make a living on-the-go? I know that it may be a few years before my dream can be realized but I am willing to work hard to make it my reality. I am so glad that I found about your article on Millo. It really inspired me. I am 21 years old but I have dreams of traveling the world while I do graphic design. It was one of the reasons I became a designer. I went to a community college to get my degree on Art (Illustration), although it has not fully related to graphic design it helped me a TON. I became a freelance designer by teaching myself everything about GID. Now I have really big dreams about traveling the world while doing freelance. However I only had experience in freelance for about half a year. Do you recommend getting more experience as a freelancer before I hit the roads? Would you say it’s a good idea to save up a decent amount and travel whenever as long as you have some savings and future clients? Thank you so much for the article. It’s really inspiring. I am glad to know that there are people doing what I am aiming to do and they love it – you and your wife. Sound like a fun life. Congrats and thanks for sharing. Great piece. I’m a Creative Copywriter working at an in-house agency in Silicone Valley. My girlfriend and I just committed to this very plan starting late next year. I’m planning on leaving my company and picking up a client list in the new year, so that I have a stable workload by the time we leave. Any chance your team is looking for some creative marketing copy in the future? That’s a very inspiring post to become a freelancer. I like your post truly, and it is helpful too. I will try to follow your advice, Because, end of the day, I also want to travel the world.